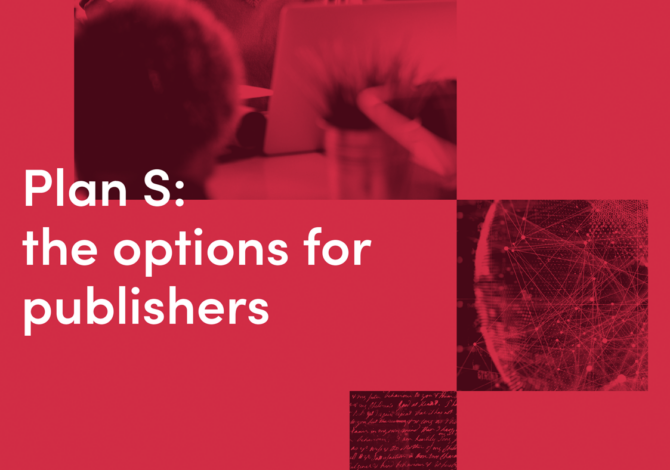 On Wednesday 13th February we hosted a webinar to discuss the key findings of our recent whitepaper which explored the options publishers are considering for Plan S. We were delighted that over 250 were able to join the broadcast (a recording is available here). A number of questions were asked and we have tried to provide the best answers we can below. Of course, as more information is shared and learnt about Plan S, some of these answers will change, and new questions will undoubtedly come up. We’d be delighted to answer other questions you have, if we can. Submit your questions and we will update the Q&A page. Q1: When you say that AAMs are publishing OA, do you mean with CC BY? In the cases I am aware of for four publishers, no. None of them currently publish the AAMs CC BY. Some of them have talked about doing this, however, if it were to enable compliance with Plan S.
Q2: What is the timeline for receiving response to your questions? We just heard from Science Europe on Friday 15 February that they would be providing some response during the week beginning 18 February. My assumption is that these responses will be to the most frequent questions, confusions or misunderstandings. Q3: Were there significant differences between biomedical publishers and other physical science publishers? With only 25 data points (the 25 different organizations attending the Workshop), it would be hard to be anything but anecdotal about such differences. But here are things that seem to be in the air: in some fields, the hybrid journals have significantly higher OA percentage, suggesting that OA readiness or interest in higher in some fields than others; basic science biomedical publishers do seem to be talking about “direction of travel” as OA; clinical biomedical definitely are not; different disciplines look at CC BY very differently. Q4: Is the XML requirement for JATS, or NLM, XML? JATS. See Implementation Guidance 10.2, bullet 2. Q5: How do repositories handle errata, or supplementary data? This varies by repository. The procedures for major discipline-focused repositories (such as PubMed Central) are reasonably clear. But for institutional repositories (IRs), it may be unclear or vary so much that authors will need to interact with their institutions about this. One of the issues that IR operators have raised about Plan S is that the requirements (automated ingest, full XML, help desk) are so burdensome as to be discriminatory against IRs. Their point is that indexing via Google Scholar makes IR discovery equivalent to a large repository, so why discriminate by scale? Q6: The more interesting aspects of Plan S deal with post-publication uses and requirements for publishers to provide access for data mining. 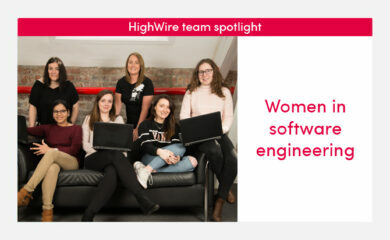 Was this discussed at your meeting and what were the publishers’ thoughts? This was not discussed at length. 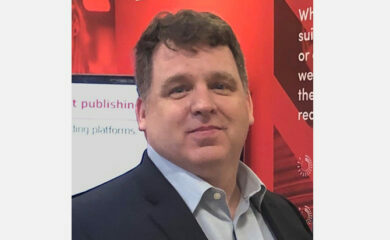 There was a comment (a) that text and data mining (TDM) access is already part of some licenses or requirements, and (b) that most everyone doing data mining focuses on PDF use because that’s what they can get, so the added requirement for full text XML – especially for the AAM – is likely a substantial burden for those handline deposits, and adding unnecessary cost (and potential publishing delay) to the system. For myself, I believe that automated generation of XML from (e.g.) author Word documents at the level of quality needed for TDM is possible; this is different from presentation quality XML needed for HTML display. I also think that full text XML does not rise to the level of a “principle” for Coalition S, while TDM does. Q7: Is anyone from Plan S attending this Webinar? I scanned the registrant list for email addresses with ‘scienceurope.org’, but did not find any. Of course, people who are working on Plan S Implementation Guidance might have other organization addresses, or even gmail. Q8: There is rumour that hybrid journals publishing OA papers will be included in plan S, is it? Yes, no, maybe, and it depends. Let’s begin with the Principles that presumably generate the Implementation Guidance. The penultimate of the principles declares straightforwardly that “The ‘hybrid’ model of publishing is not compliant with the above principles”. And so a lot of words have been written by publishers and researchers that cite this as a bridge too far, or an abridgement of academic freedom. The Implementation Guidance says that hybrid journals can only be compliant if they have filed Transformative Agreements. However, one colleague points out that there would be little need for the “middle road” to article compliance were publishing in hybrid journals absolutely forbidden. This makes sense to me. The “it depends” part of my answer is (a) articles can apparently be published in non-compliant journals via the middle route to compliance, but (b) don’t expect Plan S to fund APCs for these articles. I hope that Coalition S’ response to feedback will be much clearer on this. Perhaps they are conflicted about clear statements on this because they don’t want to encourage continued use of hybrid models. Q9: How will those who plan to ‘flip’ treat their backfiles? Great question. I will ask those I know are considering this what their thinking is. Many societies already make some backfile freely accessible, and so that continues (i.e. after a flip there may not be subscription income, though there might still be royalty income). Relatively few older, established society journals have flipped (vs. newer journals which may not have developed significant subscription bases). The one exemplar I am aware of is IOVS from ARVO, which ‘flipped’ in 2016; but their backfile was already freely available. Q10: Why do you have Transformative agreements (TA) and Read & Publish (RAP) deals as two different options? They are the same, surely? In my interviews, I found publishers talking about TA and RAP separately. And there were separate questions – “how many Read and Publish agreements – in how many different geographies — do you need to make a Transformative Agreement practical?” – suggesting that RAP might be the means to the TA end. So I thought it best to keep them separate in discussion. A key issue for small/medium publishers (and most all society publishers are small/medium) is how to “get a seat at the table” to efficiently negotiate RAP deals, which might lead to committing to a TA. There are some people working on an approach to this. Q11: You had deposit of Version of Record (VOR) on the publisher’s own site as an option on your Green OA slide. But that isn’t Green OA, it’s Gold OA. There are a couple of things that characterize Green OA in the minds of some, and these aren’t necessarily part of the definition: authors usually do Green OA deposts (not publishers; that’s why it is sometimes called “self-archiving”); Green OA doesn’t have APCs; Green OA usually has embargoes. Conversely, Gold OA does not always have APCs. In the particular case of parsing Plan S options, we were focused on the publisher setting the rules of whether it was the Author Accepted Manuscript (AAM) or the VOR that was deposited, and whether the author or the publisher made the deposit — but always without embargo, and with CC BY for Plan S.
But there is also a third dimension: where the “deposit” goes to. The publisher can put the article (AAM or VOR): (a) on their journal site (which raises questions of compliance with Plan S, unless the journal is compliant by being in the left or right columns of the Implementation Guidance “three way” compliance) or (b) in a compliant repository (which is the “middle way” path), or (c) both. Route (C) is related to the debate among publishers about whether it is better to have all versions that are accessible on the journal site, so as not to force readers to repositories to get these accessible versions, and to give authors a place to direct their readers to that carries the journal brand, links to corrections and supplementary data, etc. If your organization should be on this list, would you check out the list and let Stuart know of updates (stuart.taylor@royalsociety.org)? That would be helpful. Stuart includes links to the archiving policy for each publisher/journal. Q12: What is your view on the feasibility of APC capping? I think true caps are fraught with difficulty, but this may just be my American perspective (which usually trusts markets more than central planning; but don’t ask me about our health care system…). It may well be that individual funders will have individual policies on this, stating what level of APC they consider “reasonable and customary” (that is a phrase used in American health insurance claim denials, to explain why your insurance won’t pay what your doctor charges; the patient then has to find other ways – including other insurance – to close the gap). One suggestion from Coalition S early on (pre-Guidance) was that there may be temporary APC caps, to exert an effect on the market; but some replied that any cap would likely cause some organizations to raise their APCs to match the cap. Personally, I think we will see a move to transparency on costs as the way to deal with this; but even this can be challenging. For example, do the costs of handling rejected articles get included in the cost base for transparency on APCs of accepted articles? On APCs, the Implementation Guidance says “Coalition S calls for full transparency and monitoring of Open Access publication costs and fees. Transparency … is included as one of the criteria that define Plan S compliance of journals and platforms.” And “Coalition S will contribute to establishing a fair and reasonable APC level”.